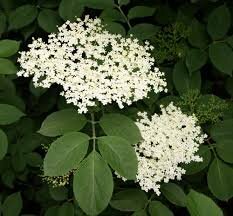 Elderflower is sometimes used for teating a variety of conditions such as sinusitis, bronchitis, diabetes , constipation. Used as a gargle or mouthwash for coughs, colds and sore throats. Some natural beauty products use elderflower in eye and skin lotions and ointments made with the flowers may help with the treatment of burns, scalds, chapped hands and chillblains. It has been used through history to treat asthma and allergies. Historically, fine ladies would always use elderflower lotions to keep her skin 'fair and white and free from blemishes'.